If Platinum Stars expect to waltz over Mamelodi Sundowns on Sunday after the quarterfinal clash of the Nedbank Cup, they must think again. 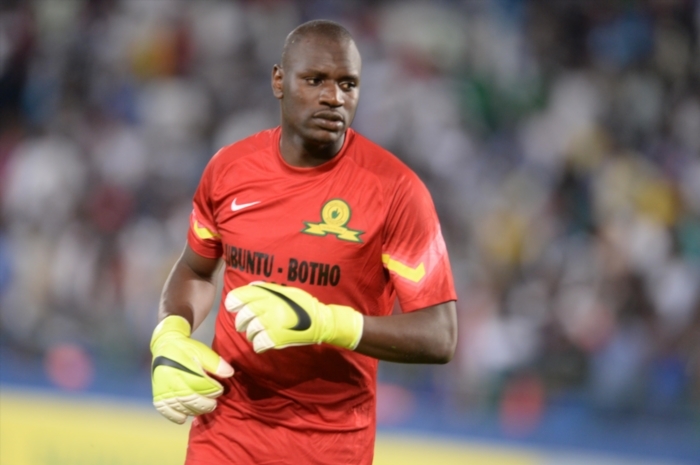 This is according to Downs’ number one goalkeeper Denis Onyango, who has fired a salvo at Dikwena ahead of the match. “We are taking every match very seriously,” said Onyango, “especially in the Nedbank Cup because that is where everything is firmly in our hands. In the four matches between the two sides in cup competitions, Dikwena have won all four. But Onyango is looking past the stats and adds that Downs will have to win a piece of silverware before the end of this campaign. “We have to finish the season with some silverware and the Nedbank Cup seems like the quickest way to do so at the moment. Kickoff at the Royal Bafokeng Stadium on Sunday is at 3pm.